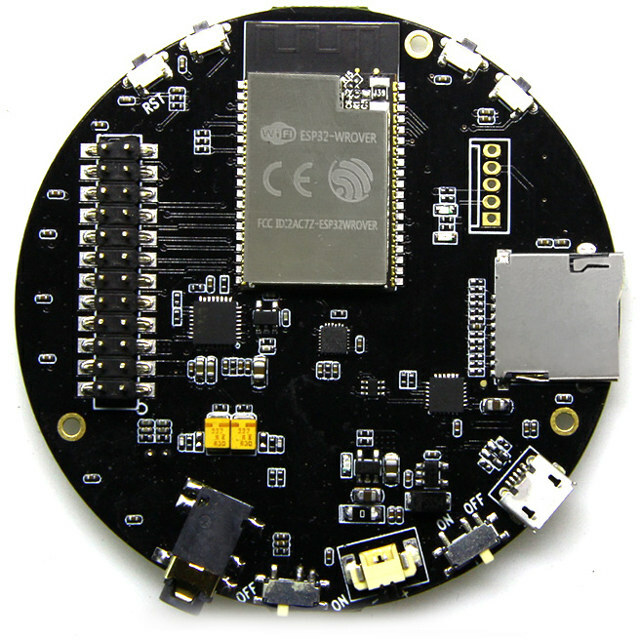 Espressif Systems may have recently unveiled their Audio Mic HDK suitable for all sort of audio applications including smart speakers, but if you need an ESP32 board that’s available now and don’t need a microphone array, TTGO TAudio V1.0 board may be an option. The board – also known as TTGO T9 – features an ESP32-WROVER WiFI + Bluetooth module, a Wolfson audio codec with a 3.5mm audio jack and built-in microphone, as well as an RGB LED array and a motion tracking sensor. 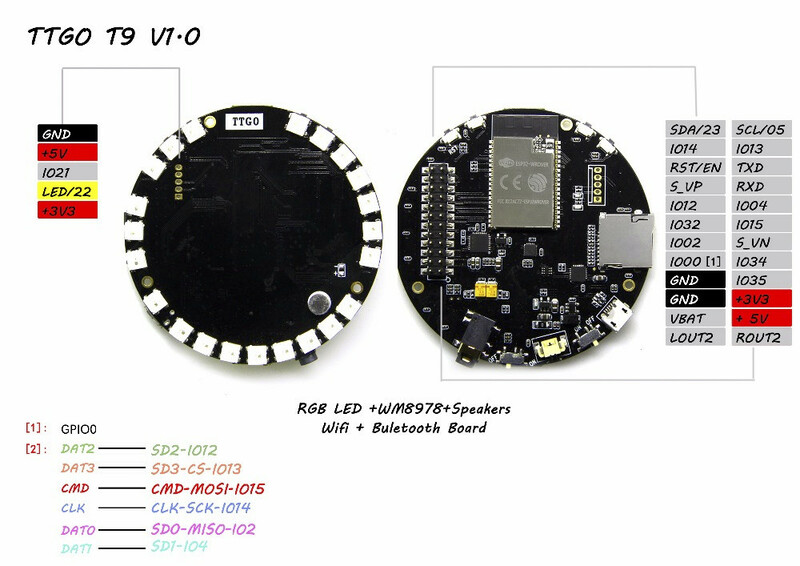 Documentation appears to be limited, but you’ll find some TTGO-T9 repos on Github showing how to control the RGB LED and sensor while playing music from the SD card, and controlling the device through a web interface (TTGO-T9-RGB_LED-WM8978), or run a “pay-voice-message”. Sadly most of the files appears to be binary only… There’s also a TTGO-T9 Marquee player, but it’s empty. The video below shows the board in action, likely the first demo playing music from an SD card. The second ESP32 board with OLED display is only likely used to “show the music”. The board is sold with one power cable (to solder to the battery) for $18.33 + shipping (around $20 here) on Aliexpress.